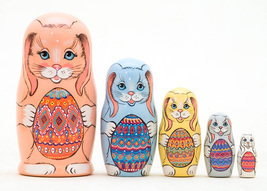 Here are five Bunnies, each holding an Easter Egg, for all the good little boys and girls! 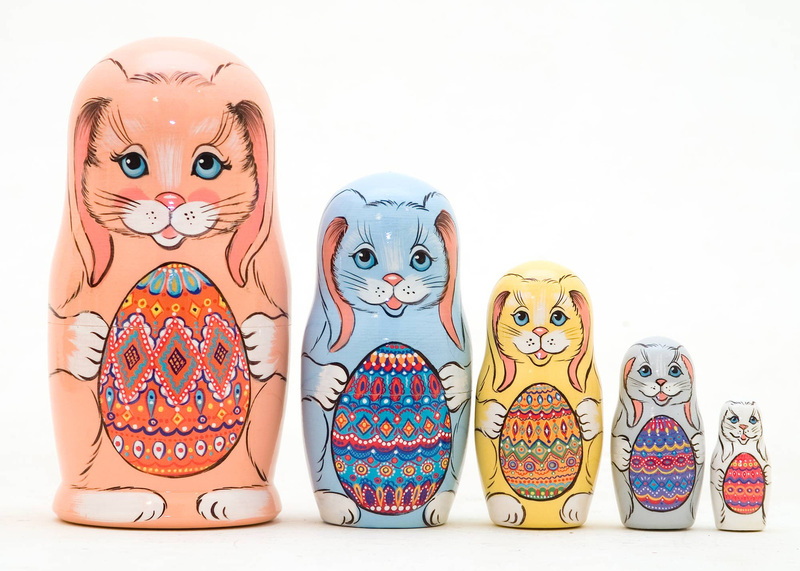 These brightly painted bunny rabbits each have a traditional Ukrainian Pisanke Easter egg. 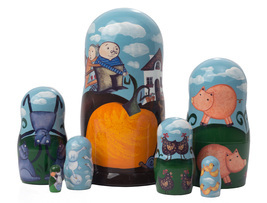 These images have hand painted backgrounds and highlights, and for certain elements, Golden Cockerel reproduces the original hand-painted artwork on printed vinyl and artfully applies them to the dolls. 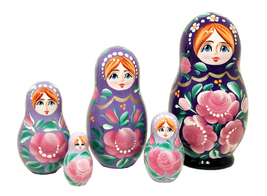 Then the dolls have multiple layers of non-toxic water-based lacquer applied. 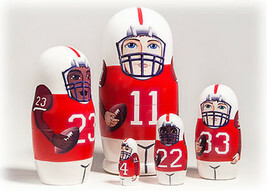 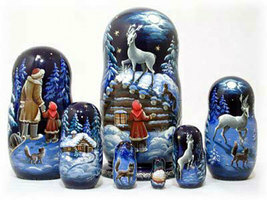 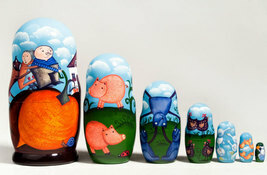 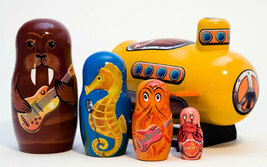 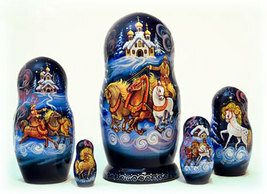 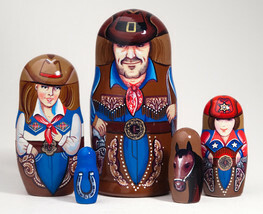 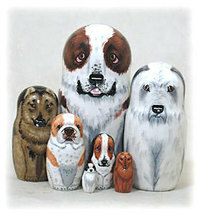 The designs are done at the Golden Cockerel art studio in St. Petersburg, Russia. 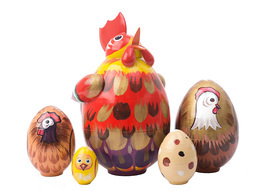 They are sure to bring a smile on Easter Day! 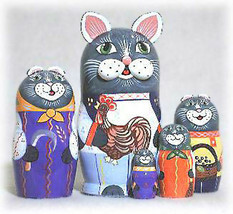 Not only would this make a fun addition to a basket, but you could create a delightful table centerpiece. 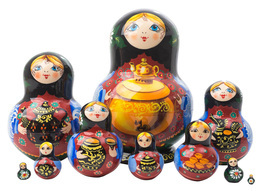 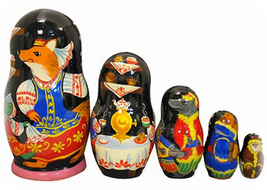 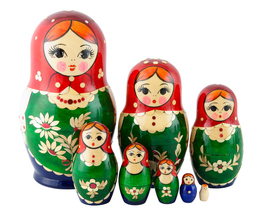 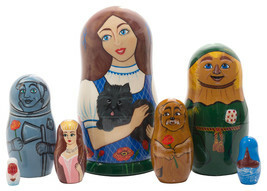 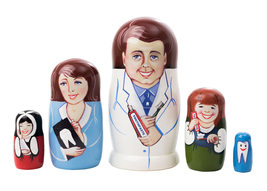 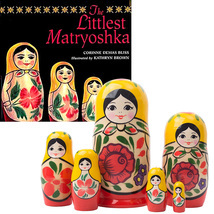 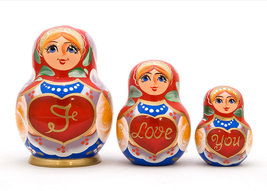 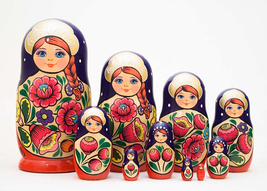 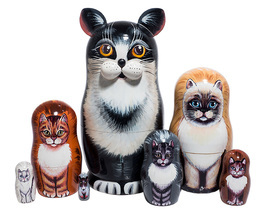 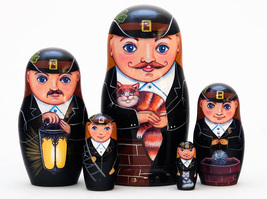 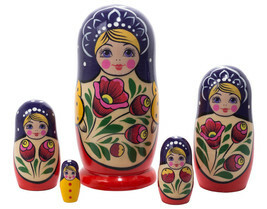 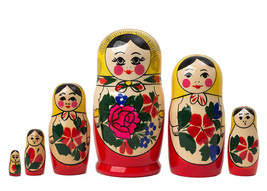 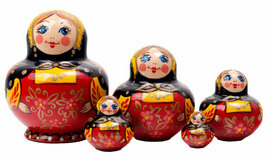 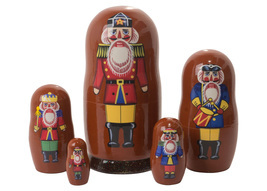 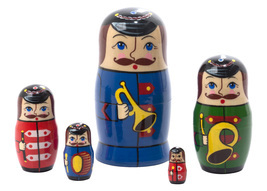 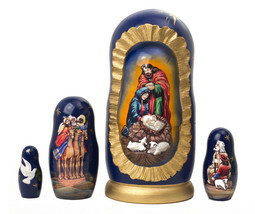 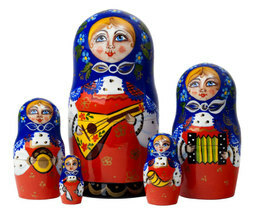 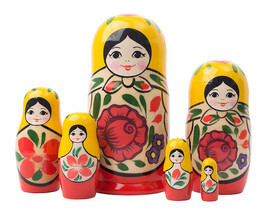 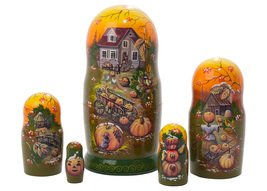 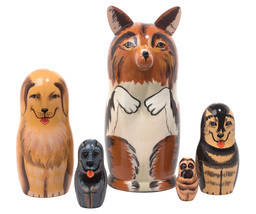 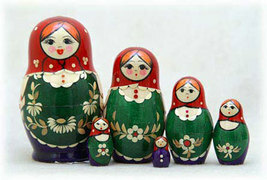 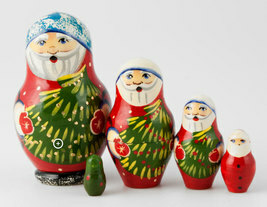 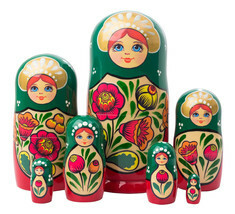 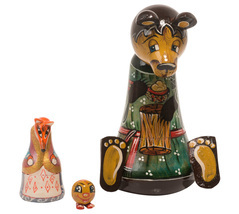 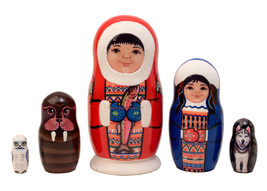 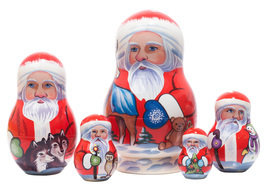 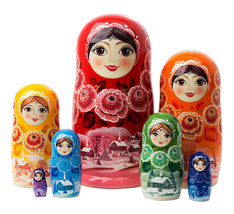 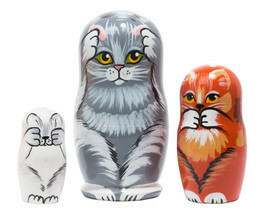 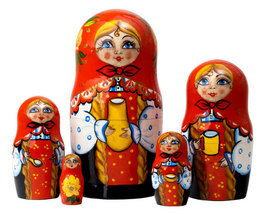 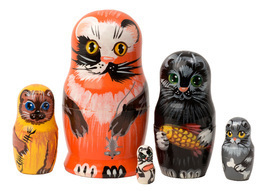 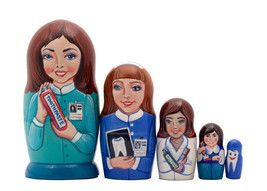 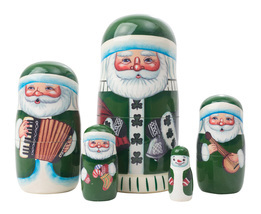 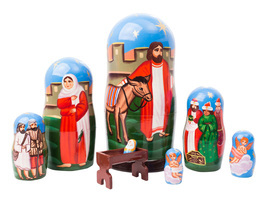 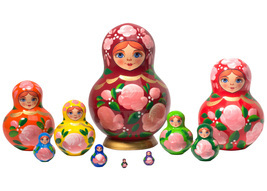 This doll is perfect for any collector of nesting dolls or Easter figurines. 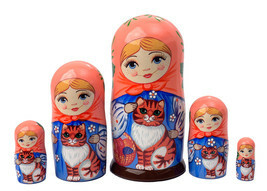 Size of the Largest Piece: 5 inches in height The Nesting Set Includes: Five Bunny Images Please note that the smaller pieces can be very small. 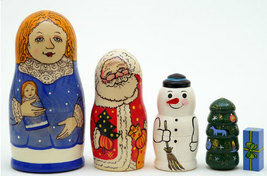 Please make sure your recipient is old enough and wise enough not to swallow the characters (around three and older).